Hydro is the company with more tricepts installed and in production in two plants: Raufoss (Norway) and Holland, MI (USA). In Norway they have 1 installation with two tricept T600, and two machining centers based on tricept T805, one of them working cooperatively with 2 tricepts T605. 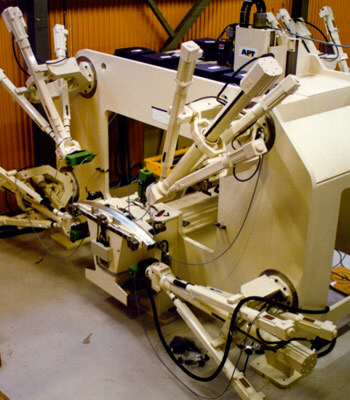 In Holland, MI (USA) they have three machining centers T805, and 14 robots based on tricept T60X. These installations are producing for example the machining of the windshield of the Corvette and most of the bumpers they manufacture in both plants.